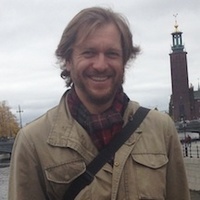 Associate Professor, Slavic Languages and Literatures, and Cinema and Media Studies at the University of Chicago, Robert Bird's main area of interest is the aesthetic practice and theory of Russian modernism. His first full-length book Russian Prospero (2006) is a comprehensive study of the poetry and thought of Viacheslav Ivanov. He is also the author of two books on the film-maker Andrei Tarkovsky; Andrei Rublev (2004) and Andrei Tarkovsky: Elements of Cinema (2008). His translations of Russian religious thought include On Spiritual Unity: A Slavophile Reader (1998) and Viacheslav Ivanov's Selected Essays (2001). His biography of Fyodor Dostoevsky is forthcoming from Reaktion Books in their series Critical Lives. In 2011, he was involved in three exhibitions of Soviet graphic art, including Adventures in the Soviet Imaginary, for which he has edited the catalog, compiled in part from contributions by graduate students. Professor Bird is at work on a series of essays on scale models, primarily in Soviet literature and cinema. Robert Bird is one of the curators for Revolution Every Day opening at the Smart Museum of Art in September. Cauleen Smith is an interdisciplinary artist whose work reflects upon the everyday possibilities of the imagination. Operating in multiple materials and arenas, Smith roots her work firmly within the discourse of mid-twentieth-century experimental film. Drawing from structuralism, third world cinema, and science fiction, she makes things that deploy the tactics of these disciplines while offering a phenomenological experience for spectators and participants. Her films, objects, and installations have been featured in group exhibitions including the 2017 Whitney Biennial; the Studio Museum of Harlem; Houston Contemporary Art Museum; Yerba Buena Center for Art; New Museum, New York; D21 Kunstraum Leipzig; and Decad, Berlin. She has had solo shows for her films and installations at The Kitchen, New York; MCA Chicago; and Threewalls, Chicago. She shows her drawings and 2D work with Corbett vs. Dempsey, Chicago. 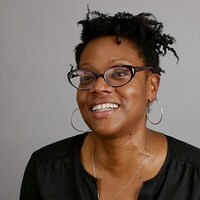 Smith is the recipient of several grants and awards including the Rockefeller Media Arts Award, Creative Capital Film /Video, Chicago 3Arts Grant, the Foundation for Contemporary Arts, EXPO Chicago Artadia Award, and Rauschenberg Residency. Smith was born in Riverside, California and grew up in Sacramento. She earned a BA in Creative Arts from San Francisco State University and an MFA from the University of California, Los Angeles School of Theater, Film and Television. Cauleen Smith is a participating artist in Revolution Every Day opening in September at the Smart Museum of Art.